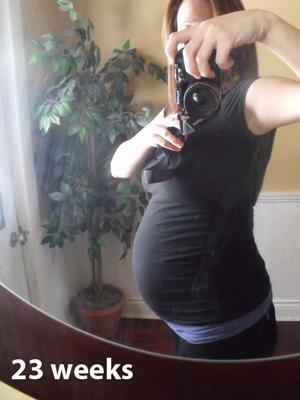 This is me at 23 weeks.. Been exercising and trying to keep the weight gain under control. All is well and feeling great! I have gained about 25 lbs so far at 24 weeks.